Ipswich Town manager Mick McCarthy believes new signing Paul Digby is best suited to centre-back despite playing much of his career in midfield. 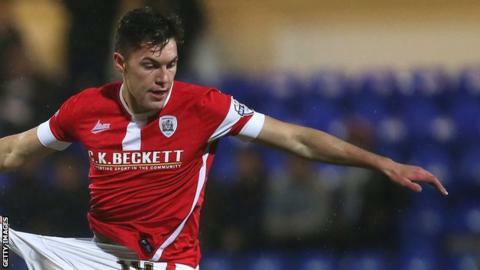 The England Under-20 man, 20, has joined from League One Barnsley on loan for the rest of the season. Digby has made 25 appearances since coming through the Tykes' youth system, but only three came this term. "He's as big as me - I see him as a centre-back and will try to develop him into that," said McCarthy. "He's bought into that, he's played there and we'll see what happens," he added to BBC Radio Suffolk. "He's got ability, he can certainly play and I love his attitude, he's been great."